Happy Holidays! Santa may be done for the year, but my romance writing friends and I are just getting started! We have a really spectacular and fun giveaway for you. As usual, we have books on sale at a steep discount, most at 99 cents for an instant fix AND a 'grand prize giveaway' with gift cards and a kindle fire BUT what makes this give away different is each author is also having a special give away for their newsletter subscribers. What does this mean for you? Every time you enter the 'grand prize' giveaway via Rafflecopter you're also entering an additional giveaway. The more author newsletters you subscribe to, the more you could win. What are they giving away? I can't tell you! It's a secret...as in secret Santa. The authors will tell you what their newsletter prize is when you subscribe. I do know some of them have really expensive designer goods for you. This is definitely a give away unlike any other you've seen before. This sale and giveaway run from December 26-28. While most books are 99 cents, some prices differ. Check the price before you buy. 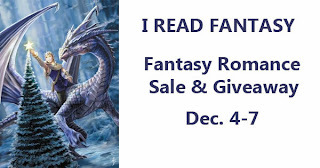 HOLIDAY FANTASY ROMANCE SALE!!!! The books below are 99 cents each! Scroll down to enter a giveaway with more than $200 in gift cards! Fantasy Romance Giveaway $200+ in Prizes! Who's ready for some holiday cheer? To celebrate the release of Psychic Appeal (currently Top 100 in psychic romance!) released under my Michelle McCleod pseudonym. 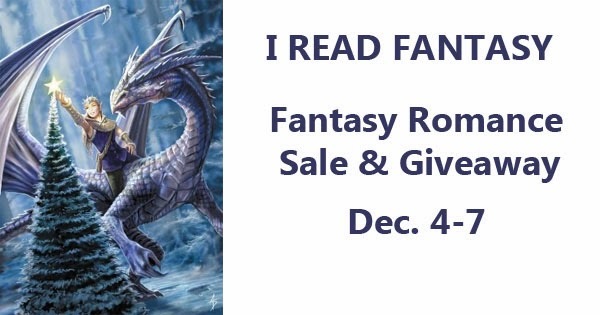 I partnered with some other authors to set up a great fantasy romance sale--all the books you see here are just 99 cents or even free in some cases. PLUS there's an awesome giveaway...just in time to help out with your holiday shopping.